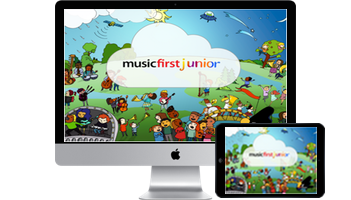 Using iPads, Chromebooks or any device able to run a standard web browser, MusicFirst Junior gives Elementary Students instant access to Music Learning Tools and Learning Content relevant to their learning level and appropriate curriculum, via a simple carousel selector. 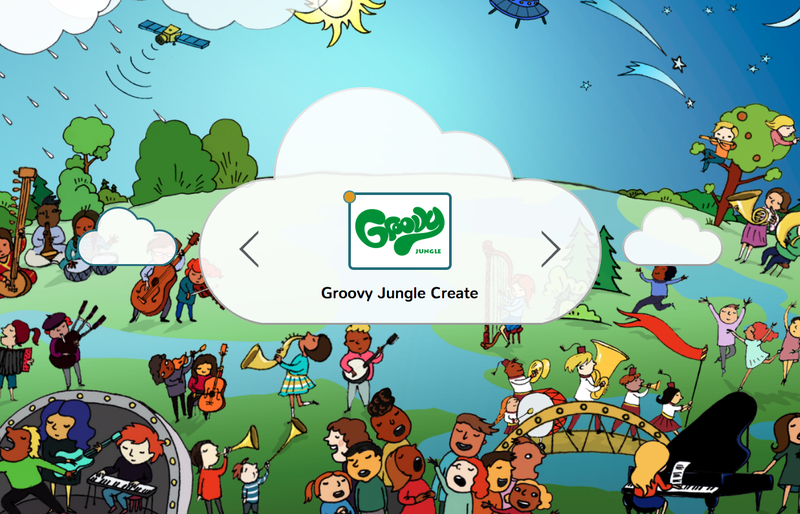 ANYTIME MODE Teachers choose from lists of Lesson Plans, Learning Pathways, Individual Materials (such as Song sheets, Images, Videos or Audio), and links to Music Apps such as Groovy Music and Morton Subotnik's Music Academy. 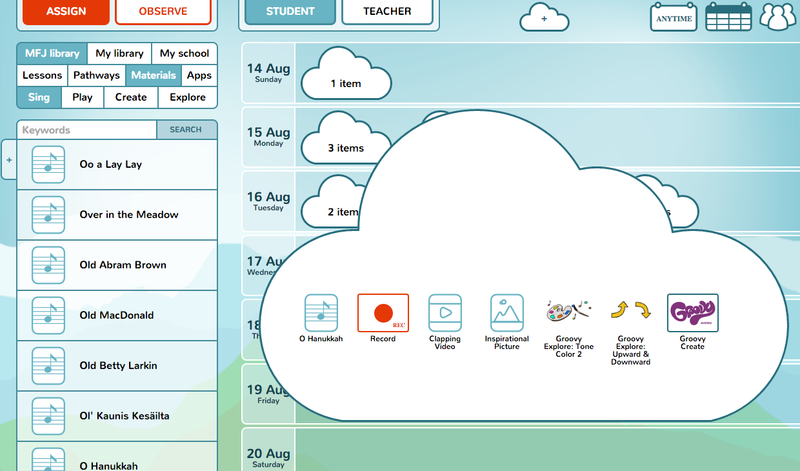 Once they have found what they want, Teachers simply drag a Learning item to the Student Cloud - and the material will immediately appear on all student devices for that class! 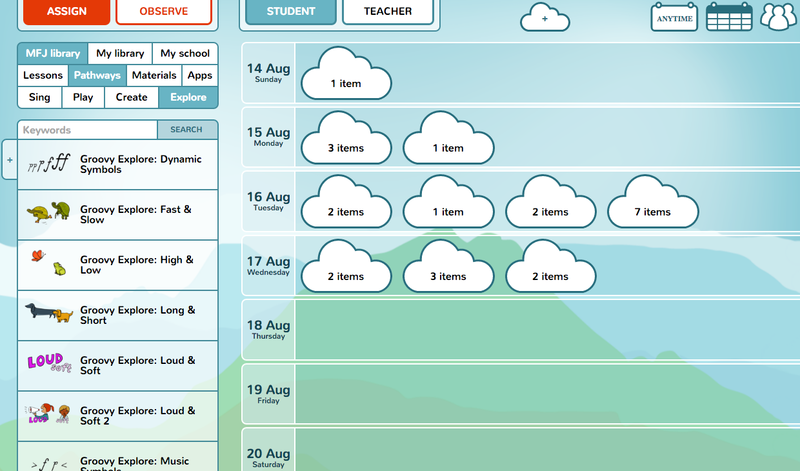 PLANNER MODE Teachers can also control what Students can see on any date, simply by using Planner Mode. 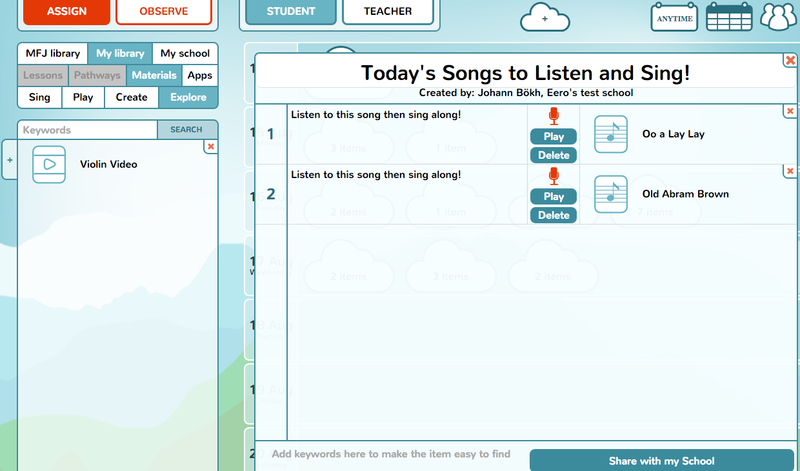 Teachers can also add text and record voice instructions to appear before the student interacts with each item. It's like being able to be right there with each student, no matter when or where they actually do their learning! 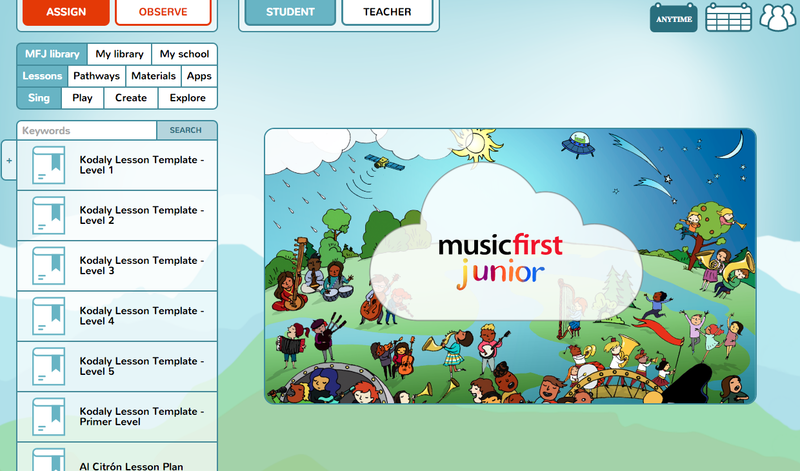 MusicFirst Junior comes with a large Library of finely crafted Lesson Plans, ready to be used as they are, or customized using the inbuilt Lesson Plan Editor. 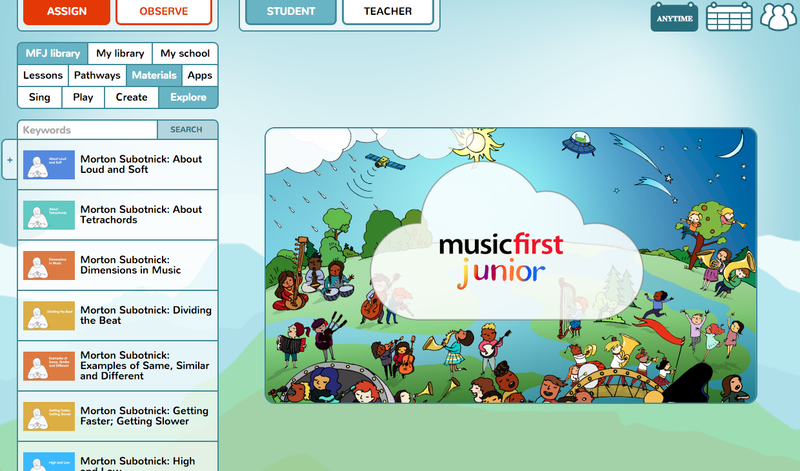 Lesson Plans contain all the information teachers expect, including Objectives, Standards, Procedures, Student Materials, Teacher Presentations, and more. 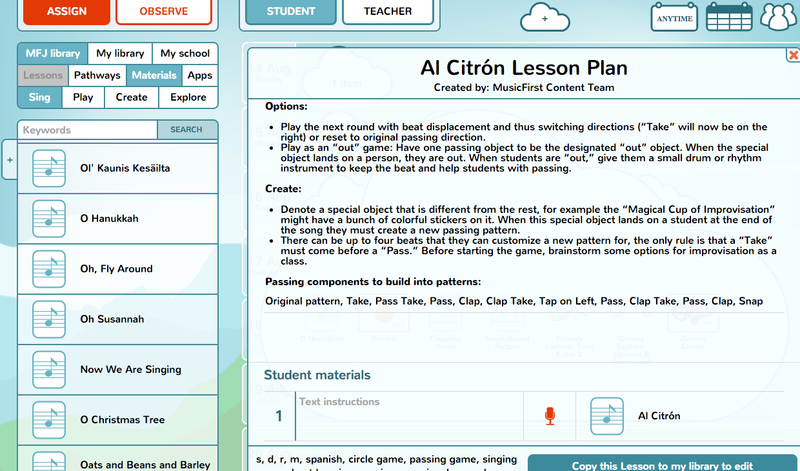 Teachers can also write their own lesson plans from scratch, and share these with their colleagues. TEACHER CLOUDS Teachers also have their own set of clouds, which is great for presenting materials to a class full screen, or using a projector. Dragging a Lesson Plan to a Teacher cloud places only the relevant materials for presentation there - the rest of the information in the Lesson Plan is only for the Teacher to see. OBSERVATION MODE Naturally, Teachers want to observe their students' interaction and progress with the Learning Materials they have been assigned. 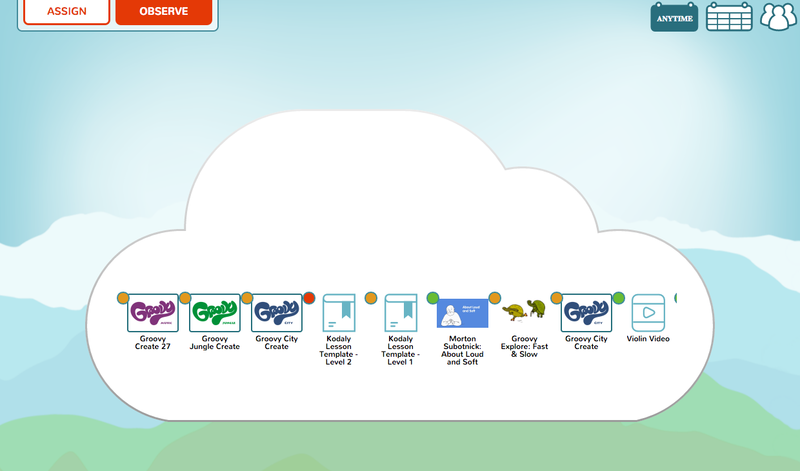 Observe mode allows Teachers to select a class and individual student, and then see what the Student has opened, created, has currently in progress or has completed, by means of simple color codes for each item in the Students cloud.